The Alaska tourism industry is a tight group of like-minded folks who support each other. Ever since I announced I was taking the plunge into guidebook authorship, my cohorts in travel have rallied, assisted, and cheered me on. 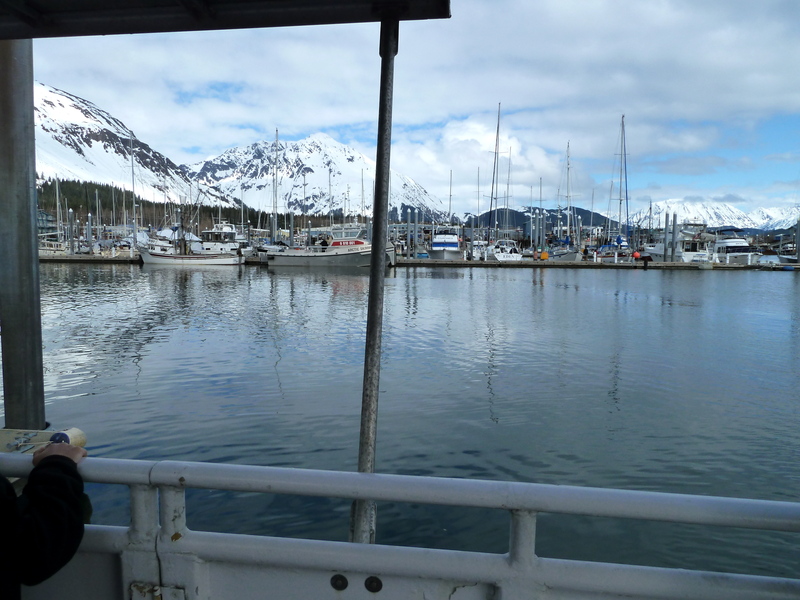 Now that the book is packaged up and sent to the publisher (whew), my friends at CIRI Tourism gave me a little present in the form of a trip to Seward. AK Dad and I are at this moment reaping the benefit of newly-remodeled luxury at CIRI’s Kenai Fjords Wilderness Lodge on the Kenai Peninsula. 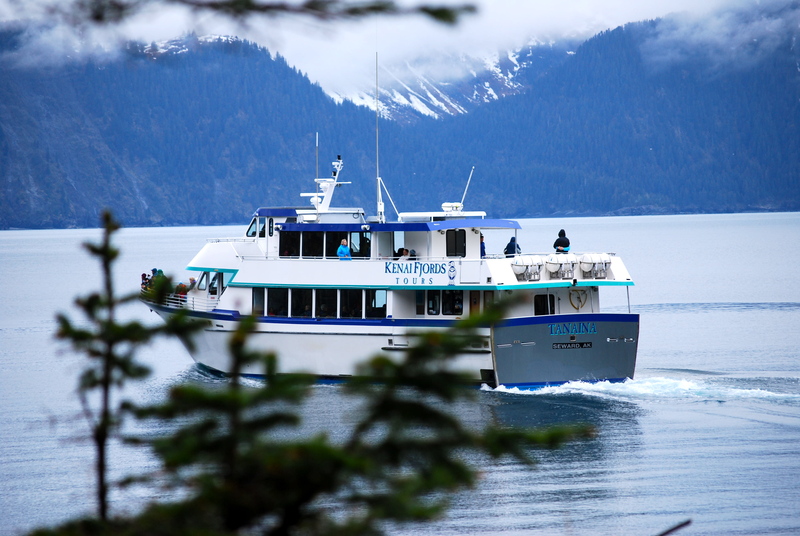 Well-known by families like ours as a company of choice for glacier and wildlife day cruises, CIRI Tourism also operates three lodges; Talkeetna Alaskan Lodge, with a great view of Denali; Seward Windsong, located on Exit Glacier Road; and the Wilderness Lodge, located on Fox Island, an hour’s boat ride from the town of Seward. We’ve been to the first two, but this is our first (and certainly not last) visit to this remote, historic island dotted with spruce trees, rocky beaches, and an old homestead settled by artist Rockwell Kent, who I’ll talk more about, later. What will we find at the end of the dock? 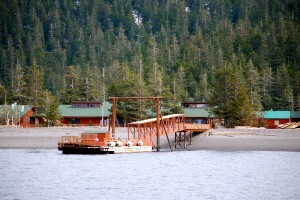 Kenai Fjords Wilderness Lodge has a new look! Fox Island is a private island, meaning that all arrivals are via Kenai Fjords day cruise vessels, a great bonus for those who wish to split up a day cruise into manageable chunks with kids. Stop for a catered lunch, toss a few rocks on the beach, then climb back aboard for the remainder of the trip, OR, do as we did and stay behind until the next morning, when another boat arrives for the return trip to Seward. Kayaking, guided hikes, or simple downtime in the beautiful, rustic lodge is all good here, so factoring in time to explore is important. 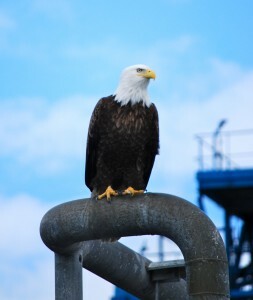 Eagle picture provided for your viewing pleasure. So, we look forward to showing off this beautiful location in pictures next week. In the meantime, enjoy your Saturday! Posted in Kenai Peninsula and tagged Alaska, Alaska Travel, day cruises, Kenai Fjords Tours. ← JetBlue Anchorage to Seattle: Family Vacation Superstar Fare!